Research into Human, Animal, Plant, and Environmental Microbiomes has exploded recently and new tools are being developed to study these communities, the types of microbes present, as well as the dynamics (stability or variability) of the communities. While metagenomic studies have revealed immense diversity, additional tools are required to understand the community structure, function, and their interaction with host environments. Biolog has unique solutions and choices for metabolic profiling of bacterial communities, as well as individual strains of interest, including those that are anaerobic or microaerophilic. 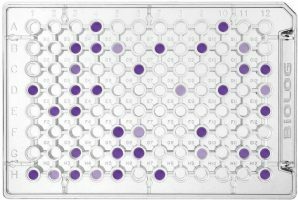 A 96 well plate containing 95 carbon sources specifically selected for anaerobic bacteria using a colorimetric redox dye. 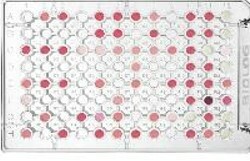 For a listing of chemicals in Phenotype MicroArrays MicroPlates 1-10 (metabolic panels) click here. 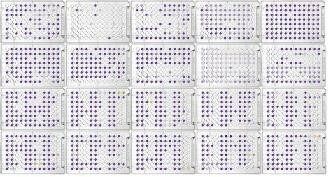 For a listing of chemicals and antimicrobials in Phenotype MicroArrays MicroPlates 11-20 (chemical sensitivity panels) click here. Both of the above options require the use of an anaerobic chamber for inoculating the MicroPlates. Used by Microbial Ecologists for more than 25 years to assess the diversity of microbial communities. The EcoPlate contains 31 different carbon sources, repeated 3 times. The plate can be used for 3 different samples – or 1 sample in triplicate. Used for identification of more than 1,500 aerobic bacterial species. It contains 71 carbon source and 23 chemical sensitivity tests chosen to optimally differentiate aerobic bacteria. It can also be used to assess microbial community function. 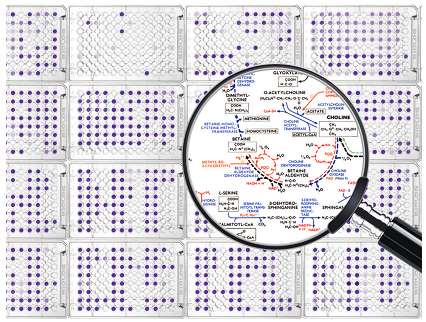 Collection of 20 defined plates representing 1920 phenotypic tests to investigate aspects of cellular metabolism, as well as sensitivity to a broad range of microbial inhibitors. In addition to profiling carbon metabolism, these plates also offer the option to profile nitrogen, phosphorus, and sulfur metabolism. Multiple different plates can be used for species level identification of aerobes, anaerobes, yeast and filamentous fungi. In addition, all of these organisms can be used with the Phenotype MicroArray Plates to provide a full analysis of the cells’ metabolic and chemical and sensitivity phenotypes.